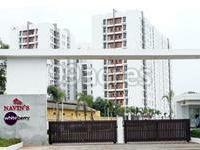 Built in Moolakadai, Chennai, Navins Whiteberry is a residential development by Navin Housing and Properties. The project is sufficed with all modern amenities and covers 2BHK and 3BHK apartments. Being close to all necessities, it has good connectivity to the rest of the city. Moolakadai lies in North Chennai and is the junction for Chennai-Kolkata Highway and Perambur - Madhavaram Road. Also Moolakadai serves as the gateway to the Chennai Port. Talking about the connectivity, the second phase of Chennai Metro Rail is about to start and new metro lines which will link Moolakadai - Thirumangalam and Moolakadai- Thiruvanmiyur, thus assuring great connectivity. Chennai has always turned heads of the home buyers as its realty market is quite rewarding and has a modern outlook. The presence of industries and businesses worked in the favor of the market and has attracted a lot of real estate investments. It is an old city and thus this leaves a less scope for new developments, leading to growth of city fringes as preferred options. Infrastructure development is pretty evident here and the lush green surroundings have fetched buyers? attention. Adding to the real estate value are upcoming corporate spaces and industries. Some of the popular growth corridors are Alandur, OMR, Ashok Nagar Chembarambakkam, Poonamallee, among others offering the best of returns. Where is Navins Whiteberry located? Moolakadai, a prime residential locality for house seekers in Chennai North. What apartment sizes are available in Navins Whiteberry? The project offers apartments sized between 1056.0 sqft and 1480.0 sqft. 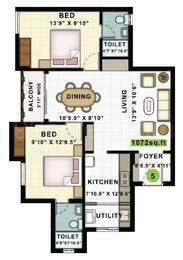 What is size of 2 bhk in Navins Whiteberry? 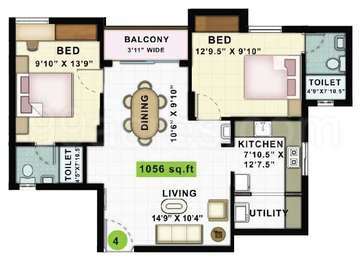 The area of 2 BHK apartments ranges from 1056.0 sqft to 1197.0 sqft. What is the 3 bedroom size in Navins Whiteberry? The area of 3BHK units in the project varies from 1301.0 sqft to 1480.0 sqft. How much is the actual area of Navins Whiteberry?The area of the project is 2.4 Acres. 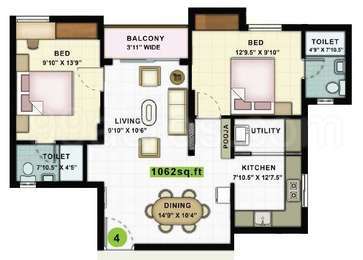 What is the price of 2 bhk in Navins Whiteberry? The project offers 2 BHK units within Rs. 6412032 to Rs. 7268184. We at NAVINS believe that building homes is an art, and an exercise of intellect, careful precision, and passion. We have driven ourselves tirelessly, since 1989, to achieve the culmination of architectural brilliance and value-for-price in our projects. the care and devotion of a true artist. The fact that we were the first in Chennai to receive the ISO 9001-2008 Certification, stands testimony to our time-tested principles, commitment and infinite zeal. We bring to the table, clear titles, excellent locations, quality products, perfect constructions, strict adherence to rules and regulations, care for customer needs, and above all, ethical business practices. Our logically sound delivery model functions with a single focus - to make living spaces lasting memories for life. We Love making our customers happy It excites us, motivates us and encourages us to wake up every morning, knowing that we can make people happy by building quality living spaces.